40' x 200'. 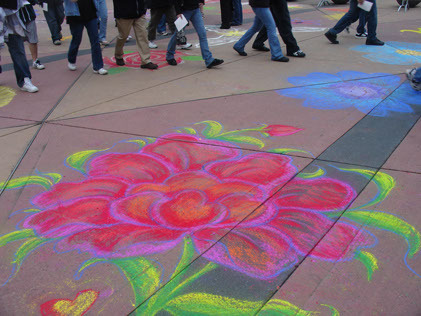 Colored chalk. 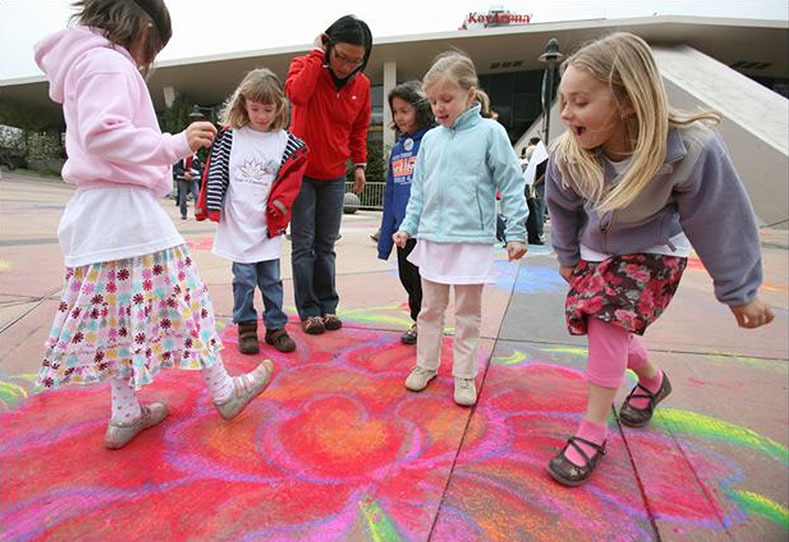 The artist's most recent idea for using the ground plane as a canvas, as a kinetic motivator. 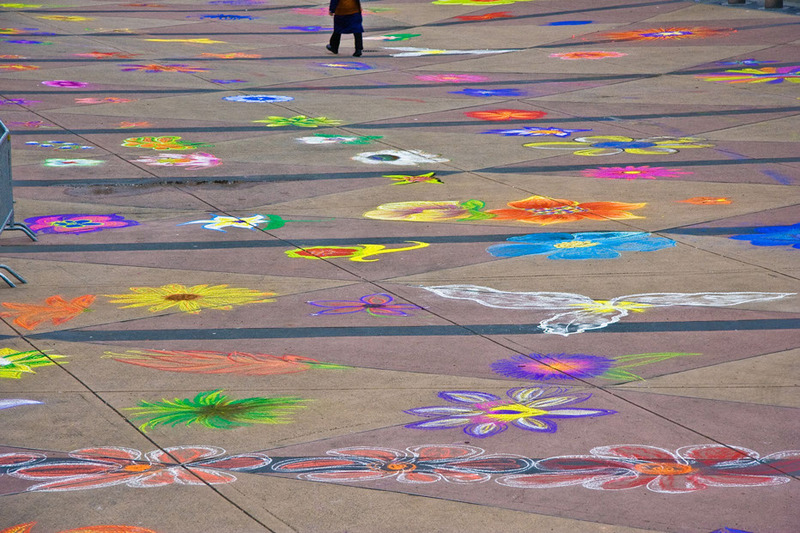 Chalk Flower Carpets was an event of grand scale, involving the participation of thirty artists, pre-dawn, to draw hundreds of brilliantly colored flowers as ephemeral processional carpets to welcome 15,000 children descending in Seattle (from every county in Washington) to hear the Dalai Lama speak to them about compassion. The flower placement pattern is based on the golden section. In working with materials commonly used by children, a radiant and magical playscape emerged.